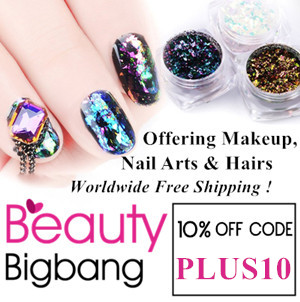 Today I have the second of the three metallic polishes that BeautyBigBang sent me. This is the pink one and I'm not sure which I like better, the green one or this one. Like the green polish, this one came with the base coat activator and doesn't become chrome unless it has been applied over the base coat. The base coat is the same and you have to wait a full 10-15 mins for it to completely dry otherwise you will not get the effect but as long as you do, once the pink polish has dried it is pretty near to chrome. Photos show two coats with no topcoat. You can't use normal top coat like Seche because the chrome will disappear but you can do this if you are looking for a standard metallic mani. 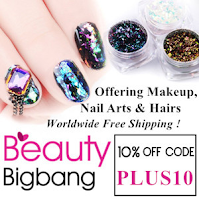 I expect it is like the powders and you can use gel topcoat to keep your nails looking good for longer. 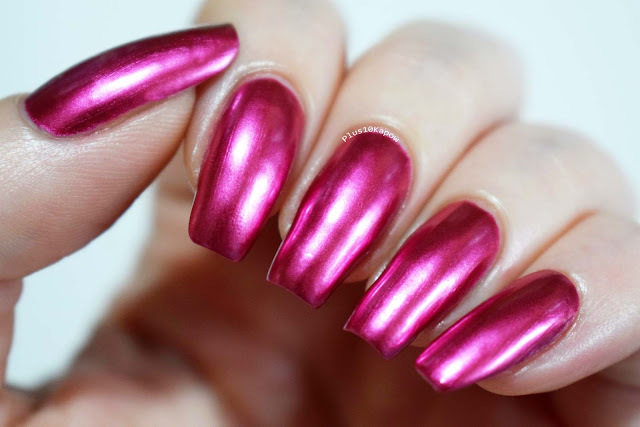 You can find the Pink metallic/chrome polish here for £3.86/$4.99 and you can use code PLUS10 to get 10% off your order, just pop it in at checkout. What have you got on your nails at the moment? Something summery to go with the heatwave? Maybe something nerdy? How about some holo? Sound off in the comments!